SMPlayer intends to be a complete front-end for MPlayer, from basic features like playing videos, DVDs, VCDs and Internet streams to more advanced features like support for MPlayer filters and more. SMPlayer uses the award-winning MPlayer as engine. So it’s able to play the most known audio and video formats without any need of external codecs. 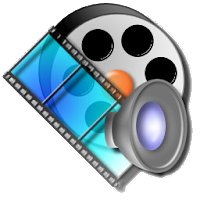 It can play avi, mkv, ogm, mpeg, vob, 3gp, asf, mov, wmv, mp3, ogg. Don’t worry, when you open that movie again it will resume at the same point you left it. And with the same settings: audio track, subtitles, volume. Multiple speed playback. You can play at 2X, 4X… and even in slow motion. Several filters are available. deinterlace, postprocessing, denoise… and even a karaoke filter (voice removal). It’s multiplatform. Binaries available for Windows and Linux. Player is under the GPL license.